Obituaries are a new feature on this web site. The people memorialized below either lived at least part of their lives in the county or are buried here. Please contact volunteer coordinator Rox Ann Johnson to contribute obituaries and/or photographs from your research. Funeral services for Adolph L. Zabransky, 75, were held Thursday afternoon, June 29, at St. Rose of Lima Catholic Church, Schulenburg. Rev. Patrick Fidgeon officiated. Burial was in St. Rose Cemetery. Pallbearers were Charles Eddleman Jr., Kenneth Howard, Carl Brown, Ted Vanek, Harold Schuman and Ernest Dostalik. Mr. Zabransky was born Nov. 23, 1896, at Praha, Texas, son of the late Anton and Maria Darilek Zabransky, and was orphaned at the age of 4. He was raised by his maternal grandparents, Jim and Annie Darilek. He married Louisa Ermis at Praha on June 23, 1918, and they lived in Praha awhile before moving to Houston. They moved to Schulenburg in August 1947. Mr. Zabransky was a member of St. Rose Catholic Church and the KJT Lodge at Praha. Survivors are his wife Louisa, sons George and James of Houston, and seven grandchildren.
. . . On Thursday Mr. B. Zachary, one of our most respected citizens, was found dead in the vicinity of Rutersville College. Evidently his death was caused by apoplexy. Hugo became ill with the measles one day last week and developed pneumonia which caused his death, age the age of 1 year and 6 months. Funeral services were conducted from the Catholic Church Sunday morning with interment in the Catholic cemetery, Rev. Father Klobouk officiating. Those who are left to mourn beside the vacant crib are the heart-broken parents, two sisters and four brothers, to whom we extend our deepest sympathy. Mrs. Johanna (Jennie) Zajicek, 79, died early Monday morning after an illness of 13 days in Columbus Hospital. She was a daughter of Frank and Frances Martinek Janish, born Aug. 15, 1893, in Frelsburg. In 1921 she was united in marriage with Fred Zajicek who preceded her in death in 1951. She had resided in Columbus 7 years and was a member of the Catholic Church. Last rites will be held Thursday, May 17, at 10 a.m. at St. Anthony’s Catholic Church in Columbus with The Rev. Patrick Palmer, assisted by The Rev. James Janish, nephew of Mrs. Zajicek, officiating. Burial will be in St. John’s Catholic Cemetery in Fayetteville. Rosary was recited at Henneke Funeral Chapel at 7:30 p.m. May 16, Henneke Funeral Home was in charge of arrangements. Surviving are 2 daughters, Mrs. Doyle H. (Leona) Janes of Houston and Mrs. Johnnie (Edna) Sodolak of Wallis; 3 sons, Raymond Zajicek of Columbus, Victor Zajicek of Snyder and Albert Zajicek of Wallis; 5 sisters, Mrs. Leo Buxkemper of Garwood, Mrs. Leo Korenek of Nada, Mrs. Adolph Krenek of Garwood, Mrs. Louis Schneider of Eagle Lake, and Mrs. Emil Kolenovsky of Brushy; 2 brothers, Joe Janish and Frank Janish of Fayetteville, 9 grandchildren and 2 great-grandchildren. Pallbearers were Clement Korenek, Joe Buxkemper, Anthony Janish, Leonard Korenek, Peter Janish and Jim Buxkemper. Louis J. Zajicek, 66, retired farmer of Plum, expired at the Fayette Memorial hospital Wednesday evening following an extended illness. Funeral services will be held Saturday morning at 8:30 at Koenig Funeral Home with continued services at the Plum Catholic Catholic church with the Rev. James Ballemans officiating. Burial will be in the La Grange City Cemetery. Mr. Zajicek was born at Plum on April 12, 1898, the son of the late Joseph and Rosalie Korenek Zajicek. On August 6, 1929 he was united in marriage with Miss Albina Korenek at Plum. Surviving are his wife; two daughters, Mrs. Elmond Wessels and Mrs. Leslie Kovar of La Grange; two sisters, Mrs. Albina Vasina and Mrs. Henry Bertsch, both of Plum; and six grandchildren. A son and a daughter preceded him in death. A KJY and St. Isidore Society rosary will be recited Thursday at 7:30 p.m. (today); and a parish rosary will be held Friday bitht at 7:30. MOULTON – Charles Zamykal, 89, a farmer in the Moulton community, died Friday in a local nursing home. Services will be held at 2 p.m. Sunday at St. Joseph Catholic Church in Moulton. Burial will follow in Flatonia Catholic Cemetery. Survivors are a son, Frank, of Moulton; five daughters, Mrs. Jim Svatek of Moulton, Mrs. Theo Krhovjak of Flatonia, Mrs. Edmund Novak of Austin, Mrs. Karl Kothmann of Fort Worth, and Mrs. Frank Barta of Houston, 25 grandchildren and 31 great-grandchildren. LaGrange, Tex., July 6.—Mr. B. Zander, an old and highly respected gentleman, was found dead in his bed at an early hour this morning. Cause, heart disease. He was 70 years of age and leaves one daughter and four sons. Died at Round Top, August 24, Mrs. Maria Elizabeth Zander, age 70 years, 1 month and 8 days of weakness of heart. Died – At La Grange, September 5, 1889, suddenly of heart disease, Mrs. Minna Zander, consort of Mr. B. Zander. The deceased leaves a husband and five children, three sons and two daughters, who have the sympathy of this entire community in their sad bereavement. At her home, the residence of her father, B. Zander, in this city, on the morning of November 22nd, 1897, Miss Sarah Zander. Born July 31, 1857, Miss Zander had only been sick a short time and her death was unsuspected to her many friends. Her life has been spent in La Grange, and she had surrounded herslef by a host of friends, kind and affectionate to all, with a loving disposition, she was a mother to her younger brothers and sisters, and after her mother's death, was the one who had charge of the household. A large concourse of relatives and friends followed her remains to the Jewish Cemetery last Monday evening, and loving hands tenderly laid her to rest. Her mourning relatives can rest asured that the hearts of our people are with them in their afflictions. There were three funerals here last week. A sixty-one year old named Zapalac and two little children were buried in the Catholic cemetery, Father Chromcik officiating. FLATONIA — Mrs. Charlie (Agnes) Zapalac of Flatonia, 85, sister of Mrs. August Sramek of Victoria, died Saturday in a local rest home. Services were held at Smith's Funeral Home and Sacred Heart Catholic Church in Flatonia, with the Rev. Anthony Matula officiating. Burial was in Praha Catholic Cemetery. Survivors include a son, Alfred Zapalac of Flatonia; two daughters, Miss Lillie Zapalac and Mrs. Christian Barta, both of Flatonia; a sister, Mrs. Sramek; three grandchildren and five great grandchildren. Funeral services for Mrs. Willie D. Zapalac, 59, of Schulenburg were held Thursday, Oct. 20, at St. Rose of Lima Catholic Church in Schulenburg, with the Rev. Lambert Laskowski officiating. Mrs. Zapalac died Tuesday, Oct. 18, in Youens Hospital here after about two month’s illness. The former Miss Albina Pesek, she was born Oct. 3, 1901, in the Novohrad community, the daughter of Mr. and Mrs. Frank J. Pesek. She was married to Mr. Zapalac at Praha, Texas, Aug. 4, 1919, and they have lived in the Schulenburg area since. She was a member of St. Rose Church. Surviving in addition to her husband are her mother, four daughters, Mrs. Dorothy Olson of Ft. Worth, and Mrs. Marzeline Krupala, Mrs. Bernice Guynes and Mrs. Delores Schumann, all of Schulenburg; 10 grandchildren; three sisters, Mrs. Henry Salas of Weimar; Mrs. Rudy Gansky and Mrs. Johnny Zapalac of Rosenberg; and three brothers, Jeff and Emil Pesek of Schulenburg and Jerry Pesek of Houston. Active pallbearers were Ladik, Frank and George Pesek, Eugene Hollek, Johnnie Balcar and Wilbert Hollas. Named honorary pallbearers were Arthur Graf, Barney Vornsand, Lawrence Grasshoff, Eugene Hollas, Hubert Little and Erwin R. Stavinoha. Funeral services were held Saturday morning for Mrs. Anna Zapalac, 94 of La Grange, Route 2, who died Friday. Mrs. Zapalac had been in good health about 3 weeks ago when she became ill.
Requiem high mass was said at the Hostyn Hill Catholic church and burial was in the Hostyn Catholic cemetery [Ellinger Catholic], Rev. Francis Kolar officiating. Mrs. Zapalac was the grandmother of Patsy Jo Balzer of Columbus. Her husband, Vinc B. Zapalac, died 8 years ago at the age of 92. Surviving are 5 sons, Henry of Fayetteville, John P., Fred T. and George of La Grange and Elo of Houston and 3 daughters, Mrs. Emilia Novosod of Fayetteville, Mrs. Martha [Gaertner] and Mrs. Adella Kallus of La Grange; 18 granchildren, 25 great-grandchildren and 7 great-great-grandchildren, also one sister, Mrs. Rosie Mikolas of West Columbia and 3 half sisters, Mrs. Hattie Stibora, Mrs. Albina Koebelen and Mrs. Minnie Koebelen of Rosenberg. Pallbearers were her grandsons, Glen Zapalac, Fayetteville; Robert Zapalac, Houston; Lester, Morris and Ben Zapalac of La Grange and Edward Kallus of Round Top. FLATONIA – Annie Zapalac, 79, of Flatonia died Saturday, Sept. 19, 1987 in a Houston hospital. She was born July 8, 1908, in Fayette County, daughter of the late Steve and Frances (Muzny) Kana. Mrs. Zapalac was a member of Sacred Heart Catholic Church in Flatonia. Funeral services were held at 10 a.m. Tuesday, Sept. 22 at Sacred Heart Catholic Church in Flatonia. The Rev. Ed Kelly officiated. Burial followed in Flatonia Catholic Cemetery. Pallbearers were her grandsons. Rosary was at 7 p.m. Monday, Sept. 21 at Smith Funeral Home Chapel in Flatonia. She is survived by her husband, R.D. Zapalac of Flatonia; a son, Edwin Zapalac of Flatonia; two daughters, Mrs. Ervan E. (Jeanette) Zouzalik of Flatonia and Mary Ann Tichacek of East Bernard; two sisters, Frances Krutta of El Campo and Edith Katzfey of San Antonio; five brothers, Henry, Steve and Edmond Kana of El Campo, George Kana of Palacios and Joe Kana of Healdton, Okla.; and 12 grandchildren and two great-grandchildren. The family requests that those who desire to do so may make contributions to the Flatonia Catholic Church Building-Maintanance [sic] Fund. Fayetteville, Tex., April 17.—Mrs. John Zapalach, aged 94 years, died at the home of her daughter, Mrs. Mary Krenik [Krenek]. She leaves four sons and four daughters. Burial was made in the Live Oak Cemetery. Funeral services for Charles Zapalac, 81, were held Saturday, Dec. 29, at 10 a.m. in the Knesek Chapel in Fayetteville. Burial was in the Fayetteville City cemetery. Rev. Thomas Matl officiated. Mr. Zapalac died at the Fayette Memorial Hospital on Dec. 27. Born on Dec. 26, 1881, at Live Oak Hill, the deceased was a son of Joseph and Anna Zapalac. He was a retired painter and had lived in Fayetteville for about 10 years. He is survived by a sister, Miss Millie Zapalac of Fayetteville; 7 nieces and 4 nephews. Funeral services were held Tuesday, June 20th for Charles John Zapalac who passed away at his home in Flatonia Saturday, June 17, 1967 at 11:20 p.m., following a lengthy illness. Requiem Mass was at 9:45 a.m.at the Sacred Heart Catholic Church in Flatonia, followed by graveside services and burial in the Praha Catholic Cemetery, with Rev. Allen M. Black officiating. Pallbearers were Sylvan Zatopek of Victoria, Julius Sramek of Victoria, Milton Kubena of San Antonio, Adolph Heiman, of Moravia, Joe Hanzelka of Moulton, and Willie Zapalac of Schulenburg. Rosaries were recited at 7:30 p.m. Sunday and Monday at the Smith Funeral Home Chapel in Flatonia by Johnnie Tupa and Rev. Allen M. Black. Born October 30, 1881, he was the son of the late John and Marie (Matula) Zapalac of the Novohrad-Praha community. He was a retired farmer, moving to Flatonia in 1954, and had attained the age of 85 years, 7 months and 17 days. On Oct. 23, 1906 he was united in marriage to Miss Agnes Zatopek. To this union three children were born. surviving are his wife, Mrs. Agnes Zapalac; two daughters, Lillie Zapalac, Mrs. Christian (Julia) Barta; one son, Alfred Zapalac, all of Flatonia; three grandchildren, Leonard Barta of Flatonia, Mrs. Glen (Juanita) Ervin of Lynchburg, Tenn., Miss Janice Zapalac of Flatonia; three great-grandchildren, Donna Lea and Karen Ann Barta of Flatonia and Jason Ryder Ervin of Lynchburg, Tenn.; three sisters, Mrs. Adolph Pavlicek of Bomarton, Mrs. Edwin V. Gallia Sr. of Moravia and Mrs. Joe (Bessie) Kubena of San Antonio. Lagrange, Fayette Co., Texas, March 23, Charles P. Zapalac, 42 years old, died at Von Ormy, Texas, and was buried here. The funeral was held from the residence of Frank Lidiak Sr. Services were held at the Sacred Heart Church at 10 o’clock and burial took place in the cemetery. Services for Christine Zapalac, 87, lifetime resident of Fayetteville, were held June 8 at St. John Catholic Church in Fayetteville with Monsignor Ben Mazurkiewicz officiating. Interment followed at the Fayetteville Catholic Cemetery. Christine Zapalac died June 6 at her residence. She was born Dec. 2, 1901 near Fayetteville, the daughter of Joe F. and Rozina Veselka Chovanec. She and Rudolph Zapalac were united in marriage Sept. 26, 1922 in Fayetteville. Christine Zapalac was a member of St. John Catholic Church, KJZT and Altar Society. She was a housewife. She was preceded in death by her husband on August 24, 1944 and one half-brother, Henry F. Chovanec. Survivors include one son and daughter-in-law, Arnold and Agnes Zapalac of Fayetteville; six grandchildren; four half-sisters, Mrs. Claudia Hrachovy and Mrs. Mary Hrachovy, both of Ellinger, Mrs. Tonie Machala of Fayetteville and Mrs. Francis Gregory of Baytown; and one half-brother, Frankie Chovanec of Louise. Sergeant Memorial Funeral Home, La Grange, directors. from Fayette Memorial Funeral Home web site, La Grange. Lifelong La Grange resident Florice (Flo) Nanette Zapalac passed away on Saturday, February 6, 2010 at the Warm Springs Rehabilitation Hospital in Luling. She was 83. Mrs. Zapalac was born in La Grange on January 19, 1927, the daughter of Mike B. Roberts and Evelyn Mennike Roberts. She was married to Lester H. (Buddy) Zapalac on June 17, 1947. A member of the Rutersville Hermann Sons Lodge and the La Grange VFW Auxilliary for several years, Mrs Zapalac and her late husband owned and operated the former La Grange Journal for many years. She was employed at Tietjen’s Inc. in Rutersville until two years ago when she became a resident of Monument Hill Nursing Home in La Grange . Mrs. Zapalac had resided in the La Grange area her entire life. Survivors include three children, Mrs. Leroy(Lestell) Villanueva of Houston, Mrs. Larry(Leah) Tietjen of Rutersville, John Lester Zapalac of La Grange. Seven grandchildren Wendy Janda and Vicki Janda, both of Houston, Sherri Janda of Weimar, Chad Tietjen of Rutersville, Holli Tietjen of Houston, and Johnathan Zapalac and Ashten Zapalac, both of La Grange; step-grandson Jordan Parks of Giddings; three great-grandchildren, Lauren Sedlar of Weimar, Jacob Sedlar of Katy, and Emily Tietjen of Giddings. Three brothers, Billy Mike Roberts and Richard Roberts, both of La Grange, and John C. Roberts of Three Rivers, Texas; one aunt Barbara Roberts of Lakewood, California; and several nieces and nephews. In addition to her husband, who passed away in March of 1982, Mrs. Zapalac was also preceded in death by a son, Lester (Bubba) Zapalac Jr. on June 21, 1966. Visitation for Florice will be on Wednesday February 10, 2010 from 8:00 AM to 8:00 PM, the family will receive visitors from 5:00 PM to 7:00 PM at Fayette Memorial Funeral Home in La Grange. Services for Florice will be held at the Fayette Memorial Funeral Home Chapel on Thursday February 11, 2010 at 2:00 PM with interment in the La Grange City Cemetery. Memorial contributions may be made to the Gardenia Janssen Animal Shelter in La Grange or the La Grange Relay for Life. On last Saturday Oct 8th the Angel of Death visited the home of John Zapalac and called her to her eternal reward. She had been ill several years and died at the age of 24 at her home near Schulenburg. She is survived by her husband and two children who mourn the loss of a good wife and mother. The Sticker joined by the many friends of this good lady extends condolence to the bereaved family. Fred T. Zapalac, 94, of the Ellinger area, died Saturday, July 30, 1994, in a Brenham hospital. Born July 1, 1900 near Ellinger, he was the son of Vince B. and Annie (Andrea) Zapalac. On Jan. 29, 1921, he married Pearl Koehl in Ellinger. Mr. Zapalac was a rancher and registered Hereford breeder, who in 1921 was a member of a semi-professional baseball team. He was a member of both St. Mary's Catholic Church in Ellinger and the Ellinger Chamber of Commerce. Funeral services were held Aug. 2 at Saint Mary's Church with Msgr. Ben Mazurkiewicz officiating. Interment followed in St. Mary's Cemetery. Koenig-Peel Funeral Home was in charge of arrangements. Mr. Zapalac is survived by his son and daughter-in-law, Morris and Lillian Zapalac of the Ellinger area; a brother, Elo Zapalac of Houston; grandchildren, Donna Mueller and husband Dr. Tom Mueller of La Grange and Kenneth Zapalac and wife Susan of the Ellinger area; and six great-grandchildren. He was preceded in death by his wife, in 1988, his parents, three brothers and three sisters. Memorial contributions may be made to Saint Mary's Catholic Church in Ellinger. Funeral services for George V. Zapalac, 79, of Rt. 2, La Grange were held Saturday, Oct. 1, at 9:00 a.m. at St. Mary’s Catholic Church near Ellinger with Rev. Francis Kolar officiating. Burial was in the Hostyn Hill Catholic Cemetery under direction of Koenig Funeral Home, Inc.
Mr. Zapalac, a rancher by occupation, succumbed Sept. 29 in Fayette Memorial Hospital. Born November 18, 1897, in Fayette County, he was a son of Vince B. and Anna Ondrej Zapalac. He was one of the original registered Hereford cattle breeders in Fayette and surrounding counties and was affectionately called “Uncle George” by all who knew him. He had never married and was a lifelong resident of Fayette County. Survivors include two sisters, Mrs. Martha Gaertner and Mrs. Adela L. Kallus, both of La Grange; and three brothers, Elo Zapalac of Houston, F. T. Zapalac of La Grange, and Henry Zapalac of Fayetteville. He was preceded in death by one brother, John, and one sister, Mrs. Millie Novosad. Pallbearers were Ben Zapalac, Lester (Buddy) Zapalac, Morris Zapalac, David Zapalac, Marvin Pruitt, and Kenny Zapalac. Services for Glen W. Zapalac, 79, of Fayetteville were held March 28 at Sergeant Memorial Funeral Home in La Grange with Monsignor Harry Mazurkiewicz officiating. Burial followed at the La Grange City Cemetery. Zapalac died March 25 at Veteran's Hospital in Temple. He was born Feb. 7, 1919, in Fayette County, Texas, the son of Henry J. and Hermina Loeve Zapalac. Zapalac was a retired rancher and affiliated with the Catholic Church. He was a lifetime member of Pearl Harbor Survivors Association and of Disabled American Veterans. He served in the U.S. Navy during World War II (1941-45). He was a survivor of the Pearl Harbor attack on board USS Henley 391 when the ship was sunk in the Coral Sea in 1943. Zapalac was injured when the ship went down and was in the water for one day before they were rescued. He was awarded the Purple Heart, Naval Good Conduct, WW II Victory Medal, American Campaign Medal and the Asian-Pacific Campaign Medal. Zapalac was preceded in death by his parents; two brothers, Henry E. and Lester "Buddy" Zapalac; and three sisters, Valeria Zapalac, Minnie Taylor and Zeda Eckel. Survivors include two nephews, Gary Eckel of Goliad and Johnny Zapalac of La Grange; three nieces, Margie Eckel Rose of Cuero, Lestell Villanueva of Houston and Leah Tietjen of Rutersville. Memorial contributions can be made to Sacred Heart Catholic Church in La Grange. Services for Henry Zapalac, 81, of La Grange, lifetime resident of the area, were held Oct. 12 at Sergeant Memorial Funeral Home Chapel with Msgr. Harry Mazurkiewicz officiating. Interment followed at La Grange City Cemetery. Zapalac died Oct. 8 at Monument Hill Nursing Center in La Grange. He was born June 11, 1911 in Columbus, the son of Henry J. and Minnie Loeve Zapalac. He was a Catholic. He was preceded in death by three sisters, Zeta Eckel, Valeria Zapalac and Minnie Zapalac Taylor; and a brother, Lester Zapalac. Survivors include his wife, Helen Zapalac of La Grange; a brother, Glenn Zapalac of Fayetteville; three nieces, Marjorie Rose of Cuero, Lestell Villanueva of Houston and Leah Tietjen of Rutersville; two nephews, Gary Eckel of Goliad and Johnny Zapalac of La Grange, and numerous great-nieces and great-nephews. Services for Henry Joseph Zapalac, 100, of Fayetteville, were held Jan. 25 at the Sacred Heart Catholic Church in La Grange with Msgr. Harry Mazurkiewicz officiating. Interment was in the La Grange City Cemetery. Zapalac died Jan. 22 at Care Inn Nursing Home in La Grange. He was born April 5, 1887 to Vinc (?) B. and Annie Zapalac at the Vince Zapalac Ranch, Texas. He married Herminia Loeve. He was a farmer/rancher and was also in the meat business for a while. He was a member of the Catholic Church. Survivors include two sons, Henry E. and daughter-in-law Helen Zapalac of La Grange and Glen Wesley Zapalac of Fayetteville; one daughter, Minnie Taylor of La Grange; two brothers, Fred T. Zapalac of Ellinger and Elo Zapalac of Houston; and a sister, Martha Gaertner of La Grange. Numerous nieces and nephews, five grandchildren, six great-grandchildren and 10 great-great-grandchildren also survive. Zapalac was preceded in death by his wife, one son, two daughters, four brothers and sisters and one grandson. LaGrange, Tex., Aug. 30.—Last Sunday night Jake Zapalac, a Bohemian, who is said to have been partly demented by excessive drinking was trying to enter the dwelling house of one Albert Burrow, residing about four miles east of Fayetteville, Fayette county, when Burrow hailed him, but Zapalac did not stop nor make himself known to Burrow, but continued to go in the house. Burrow, apprehending danger, took his shotgun and shot him as he was about to enter the house. Zapalace was raised near Live Oak hill, in Fayette county. Deceased was a married man, hbut had separated from his wife some time ago. Funeral services for S. F. (Jerry) Zapalac, 74-year-old Dubina farmer, were held Jan. 18 at Hubbard Funeral Home here and Sts. Cyril & Methodius Catholic Church Dubina. Burial was in the Dubina cemetery. Rev. Gerald Hubertus officiated. Mr. Zapalac died Jan. 16 in Youens Memorial Hospital after a lengthy illness. Born at Holman March 25, 1895, he was a son of John and Mary Zapalac. Except for two years at Uvalde he was a lifelong resident of this area. He married Miss Annit Nohavitza on Sept. 22, 1913. She survives, along with two daughters, Mrs. Emil Gebauer of Schulenburg and Mrs. Mary Miksch of Weimar; a foster son, Charlie Hadash of Sheridan; three grandchildren and two great-grandchildren; two foster grandchildren; two brothers, Joe Zapalac of Blessing and Frank Zapalac of LaMarque; and two sisters, Mrs. Rosie Huepers of Galveston and Mrs. Annie Franks of Hot Springs, Ark. Five brothers and two sisters preceded him in death. Pallbearers were David Miksch, James Coventon, Glen and John Zapalac, Gregory and Charles Hadash. ... There were two funerals here last Saturday. Chas. Olsowsky's two year old boy died and was buried in the St. John cemetery. John Zapalac, Jr. of Velehrad died Friday and was buried Saturday in the Praha cemetery. He left a wife with five little children. Mr. John Zapalac, aged 69 years, a farmer on the Brandt farm for the past four years, died of dropsy Mondy afternoon, and the remains were laid to rest in the Dubina Cemetery Tuesday, Rev. Jos Szymanski of Weimar officiating. Mr. Zapalac was born in Europe, but emigrated to this country when 9 years of age, settling in the Holman section, where he resided up to the time of his death. Surviving him are a widow and eleven children, all grown and married except two. Mr. Zapalac was a good man and farmer, a devoted husband and father the best of neighbors and friends, and his passing into another world is deeply and sincerely regretted by a large circle of friends. Our heartfelt sympathy goes out to his bereaved family. John H. Zapalac age 85 years, died at Ellinger Jan 20, 1906. John H. Zapalac, one of the highly respected citizens of near Ellinger, died last Friday night, August 11, after an illness that had gripped him for the past four months. Sunday morning the body was buried at the Catholic cemetery at Fayetteville, with Rev. Jos. Klobouk of Fayetteville and Rev. S. A. Zientek of La Grange officiating. He was 69 years, 1 month and 17 days old. Survivors are, his children: Rudolph, Mary, Tom, Martin and Edward of Fayetteville, Route No. 2, and Mrs. Vinc. Baca of La Grange, Route No. 5. Six years ago he was preceded in death by Mrs. Zapalac. John Zapalac was born in Frelsburg, Colorado county, in 1864, and later his parents removed to Ross Prairie, near Ellinger where he grew to manhood. He was united in marriage with Miss Mary Wiesner in 1886, the young couple residing on a farm in the Ross Prairie section for several years after their marriage. Mr. Zapalac then entered into the ginning business at Ellinger, and while at work in his gin was so unfortunate as to have his right hand badly lacerated. Recovering from this injury he returned to his first love, farming, and located at the home in which he died last Friday night, 38 years ago. His oldest son, John, died seven years ago. John Zapalac --------- example of that rugged honesty which commands respect, he enjoyed that from everyone who knew him, and to his family it was and inspiration. He believed strongly in the golden rule, to be done by as he even did unto others, and none knew him but who respected him for that. What reverses came to him were regarded with that quiet acquiescence that denoted his character, and in his dealings with his fellow man he was the personification of honor. It was a pleasure to know him, to be regarded as a friend. His extensive family relation covered a large field; six of his nephews carried the remains of their “Uncle John” to the grave, they are: Martin Pastusek of Bartlett, Henry Pastusek, John Zvesper, Frank Kallus, of La Grange, Fred Zapalac and Arnold Sladek of Fayetteville. John P. Zapalac, 70 well-known farmer and rancher of the Ellinger area, was found dead in a pasture near his home last Saturday morning. He had apparently suffered a heart attack. Funeral services were held Monday morning at the Jecmenek chapel in Ellinger, followed by Requiem High Mass at Hostyn Hill Catholic church. The Rev. Francis Kolar officiated and burial was in the Hostyn Hill cemetery [Ellinger Catholic Cemetery]. Born at Ellinger June 29, 1889, he was a son of Vinc B. and Anna Ondrey Zapalac. He was married to Miss Bertha Hubenak in the Hostyn Hill church Oct.23, 1907. Their 52 years of married life was spent in the home where he lived until his death Satruday. Survivors include his wife, 3 daughters, Mrs. Isabel Knippel of Fayetteville, Mrs. Elo Balzer of Ellinger and Mrs. James Burrough of Bellaire; 2 sons, Ben and Alfred Zapalac of La Grange; 3 sisters, Mrs. Emilea Novosad of Fayetteville and Mrs. John Gaertner and Mrs. Adella Kallus of La Grange; 3 brothers, Henry of Fayetteville, Fritz and George of La Grange and Elo of Houston, also 9 granchildren and 4 great-grandchildren. Roxary was recited Sunday at 5 p.m. by the Catholic Daughters of Court 1440 and at 7 p.m. by the Rev. Kolar. Services for John R. Zapalac, 76, of Ellinger were held June 30 at St. Mary's Catholic Church in Ellinger with the Msgr. Ben Mazurkiewicz officiating. Burial followed at St. Mary's Catholic Cemetery in Ellinger. Zapalac died June 27 at Monument Hill Nursing Home in La Grange. He was born Oct. 4, 1918, in Frelsburg, Texas, the son of Fred and Anna Noska Zapalac. Zapalac was a lifetime resident of the Ellinger area. He was united in marriage with Bertha Kubicek on Oct. 16, 1945. Zapalac was a retired farmer and construction worker. He was affiliated with St. Mary's Catholic Church in Ellinger. Zapalac was a member of the Columbus V.F.W. Post No. 6113 and served his country in World War II. He was preceded in death by his parents, Fred and Anna Zapalac; wife, Bertha Zapalac; an infant daughter, Beatrice Marie; a brother, Sylvester Zapalac; and a great-granddaughter. Survivors include three daughters and sons-in-law, Margie and James Svrcek of Houston, Bernice and Daniel Kolenovsky of Columbus and Ruth Ann and James Wunderlich of Houston; a son and daughter-in-law, Pete and Gailynne Zapalac of La Grange; three sisters and a brother-in-law, Elizabeth Sula, Viola Hrachovy and Julia and Frank Hrachovy, all of Fayetteville; a sister-in-law, Evyline Zapalac of La Grange; and 13 grandchildren. Pallbearers were Gregory Svrcek, Patrick Wunderlich, Ludwig Noska, Jeffrey Kolenovsky, Sylvester Zapalac and Dixie Schobel. Henneke Funeral Home Inc., Columbus, directors. Joseph Zapalac died Saturday and was buried at the Catholic cemetery Sunday, Rev. Father Chromcak officiating. He came to Texas from Moravia twelve years ago. He reached the good old age of ninety-five years. Services for Kenneth Wayne Zapalac, 37, of La Grange were held Feb. 22 at St. Mary's Catholic Church in Ellinger with the Rev. Jack Maddux officiating. Burial followed at St. Mary's Catholic Church Cemetery in Ellinger. Zapalac died Feb. 18 in La Grange. He was born on Feb. 13, 1966, in La Grange, the son of Sylvester and Evyline Devorak Zapalac. Zapalac was preceded in death by his father, and grandparents, Mary and Vaclav Devorak and Fred and Anna Zapalac. Survivors include his mother; four sisters and two brothers-in-law, Janice Krueger of Columbus, Bobbie Tarter of La Grange, Jo Ann and Barry Holcomb of Pearland and Gloria and John Drabek of Sugarland; brother and sister-in-law, S.R. and Jan Zapalac of Victoria; and numerous nieces, nephews, and great nieces. LeRoy C. Zapalac, retired from Veterans Administration. Survived by wife, Betty L. Zapalac, Dallas; sons William Zapalac, Beaumont; George Zapalac, Springfield, Mo., & John Zapalac, Dallas; daughters, Mrs. Carol Toberny, Midlothian, Mrs. Mary Edwards, Dallas; two grandchildren. Mass of Christian Burial 9:30 a.m. Tuesday, St. Elizabeth Catholic Church, Rev. William Moran, celebrant. Interment 2:30 p.m. La Grange City Cemetery, La Grange, TX. The death toll from a one-car accident near La Grange on Tuesday of last week, rose to two when Robert F. Hrachovy, 19, died in Fayette Memorial Hospital in La Grange last Friday. Lester Zapalac, 15, son of La Grange Journal publisher and Mrs. L. H. Zapalac, Sr., was killed in the wreck when the car in which five youths were riding ran off a bridge over Rocky Creek and plunged into the creek below. Two other youths were injured but are recovering. All were from Ellinger. The funeral services for Hrachovy were held at 2 p.m. Sunday in Ellinger. Burial was in the Fayetteville Catholic Cemetery. Surviving are his parents. Mr. and Mrs. Frank Hrachovy of Ellinger, and a sister, Mrs. Harry Wolff of Rosenberg. Funeral services for young Zapalac were held at 8:45 a.m. Friday in La Grange. Burial was in the La Grange City cemetery. Surviving are his parents, two sisters, Mrs. Marvin Janda and Leah Marie Zapalac, both of La Grange. Others in the accident were Robert Kubena and Clarence and Larry Marusik. They were en route home from a baseball game in Fayetteville. Hrachovy was a cousin of Mrs. Oscar Miller of this city. FLATONIA, Tex., March 18 – Mrs. Marie Zapalac, 72, died at the home of Mr. A. J. Mika in this county, Wednesday. She was buried in the Praha Catholic Cemetery, Rev. Father Neibert officiating. Services for Raymond David Zapalac, 91, of Flatonia were held Feb. 11 at Sacred Heart Catholic Church in Flatonia with Rev. Charles Carolan officiating. Burial followed at Sacred Heart Catholic Cemetery. Zapalac died Feb. 8 at Oak Manor Nursing Home in Flatonia. He was born Aug. 4, 1906, in Holman, Texas, the son of Joseph and Frances Knebel Zapalac. Zapalac was united in marriage with Ann Kana on Oct. 26, 1927 in Blessing. He was a well-known banker in Central Texas for over 65 years serving Flatonia State Bank as its president from 1956 to 1980 and as chairman of the Executive Committee until his retirement in 1992. He was a past president of the Flatonia Chamber of Commerce, past president of the Flatonia Rosary Club and Paul Harris Fellow. Zapalac also was selected as the Outstanding Citizen of the Year in 1978 and was elected into the Rotary Roll of Fame in 1989. He was affiliated with Sacred Heart Catholic Church where he served as chairman of the New Church Finance Committee, a long-standing member of the Flatonia Knights of Columbus and a member of the 4th Degree Weimar Assembly of the Knights of Columbus. He was honored with a special award at San Fernando Cathedral by Archbishop Lucey in San Antonio for his outstanding service to his church in 1976. Zapalac was preceded in death by his wife, Anna Kana Zapalac; his parents; two brothers, Steve Zapalac and John Zapalac; and two sisters, Tina Zapalac Orsak and Judy Zapalac. Survivors include a son and daughter-in-law, Edwin and Gretchen Zapalac of Flatonia; two daughters and sons-in-law, Jeannette and Ervan Zouzalik of Flatonia and Mary Ann and Victor Tichacek of East Bernard; two sisters, Mollie Miska of new Braunfels and Martha Hlozek of Blessing; 12 grandchildren; and 23 grandchildren. Memorial contributions can be made to Sacred Heart Renovation Fund. Smith Funeral Home, Flatonia, directors. Rudolph P. (Rudy) Zapalac, 77, a lifelong resident of Ellinger. Died Wednesday, March 2, 1994 in Columbus. Born Aug 18, 1916 in Hostyn Hill (Ellinger) he was the son of Peter and Matilda (Kallus) Zapalac. On March 30, 1948, he married Elenora Minar. Mr. Zapalac was a retired employee of Schindler Brother Steel, a member of St. Mary's Catholic Church in Ellinger and a veteran of World War II. Funeral services were held Saturday, March 5 at St Mary's Catholic Church with Msgr. Ben Mazurkiewicz officiating. Interment followed in St. Mary's Catholic Cemetery in Ellinger. Services were under the direction of Henneke Funeral Home in Columbus. Pallbearers were Ray Minar, Leander Minar, Bernard Mikulenka, Julius Tupa, Melvin Krause and Cyril Kulhanek. Mr. Zapalac is survived by his wife, of Ellinger; daughter and son-in-law, JoAnn and Skippy Sutton of Houston; sons and daughters-in-law Jimmy and JoAnn Zapalac of Ellinger and Larry and Susan Zapalac of Sugar Land; sister Lillian Lidiak of Edna; brother Leonard Zapalac of Ellinger; seven grandchildren, one step-grandson and one step-great grandson. He was preceded in death by his parents, a brother Joe Zapalac and a sister Annie Supak. Funeral services were held Wednesday morning, April 6, at 8:45 AM at the Knesek Chapel in Fayetteville with continued services at the Fayetteville Catholic Church for Terezie Zapalac. Burial was in the Hostyn Cemetery near Ellinger and the Rev. Thos. Matl and Francis Kolar officiated. Mrs. Zapalac, 84, died at the Brenham Rest Home Monday, April 4. Mrs. Zapalac was born on June 19, 1870 in Europe. She was married to Peter Zapalac in 1888 in Frelsburg. Mr. Zapalac preceded her in death in 1944. Surviving are two sons, Peter of Rt. 1, Columbus, Louis of La Grange, 16 grandchildren and 19 great-grandchildren. Vincencia Zapalac died April 8, age 6 months. Wilma Trueper Zapalac, 89, of Rosenberg, died Wednesday, November 9th. Funeral services were held at 10 a.m. Saturday, November 12 at Davis-Greenlawn Memorial Park in Rosenberg. She was born June 29, 1916, the daughter of Harry and Minnie Oetken Treuper in Fayette County. She was raised in the Prairie Valley Community where she attended school and church. She married Ignac (Bill) Zapalac in 1942 in St. Paul Catholic Church in Smithville. She later became a member of Holy Rosary Catholic Church in Rosenberg. Survivors include daughters, Velma Hustede and husband Bennie and Minnie Roehe and husband Marvin, all of Rosenberg; grandchildren, Brenda Roehe of Houston, Janet Strickland and husband Christian of Sugar Land, and Jason Hustede of Rosenberg; sister Edna Weyand of San Antonio; sister in law, Toni Pesl Zapalac of Smithville; and brother in law, Virgil Haggard of Shelby. She preceded in death by her parents; her husband, Bill Zapalac; sister, Vallie Burns Haggard; and brother Edmond Treuper. For those wishing, memorial donations may be made in Wilma’s memory to Holy Rosary Catholic Church, 1416 George St., Rosenberg, Tx. We are sorry to learn of the sudden death of Mrs. Zapalach, which sad event occurred Sunday morning at 10 o’clock. News Special: Warrenton, Fayette Co., Tex., May 9.—Died, on the 8th of May, at Round Top, Mrs. A. Zapp. aged 71 years, of paralysis. She leaves a large family of children and grandchildren, who sincerely mourn her loss. We are grieved to report the death of a man who shared the respect of all who had the pleasure of his acquaintance – B. Lytt Zapp, who finished his life’s pilgrimage Tuesday night at 9:30 o’clock after patiently enduring an illness which had slowly crept upon him and caused much suffering the past five months. He died at his home in this city, where he had lived many years. Mr. Zapp was born in La Grange on August 15, 1854. He was the son of Robert Zapp, who became a citizen of La Grange in the year 1848. B. L. Zapp was the fifth child of a family of fifteen, of whom six survive. In the year 1867 his father moved to Round Top, where he later served as marshal. In 1882 he went to La Grange, served as chief deputy under John T. Rankin. He was married to Miss Mary Wertz of this city the same year. The following year he was elected sheriff of Fayette county, serving four terms, declining to run for re-election in the year 1894. He followed the gin business, and later on the mercantile business for several years. In 1904, after the death of County Treasurer, R. T. Bradshaw, Mr. Zapp was appointed to fill the unexpired term. Later he was elected to the office which he held for eighteen years, when his health became impaired, compelling him to live a very quiet life for the past four years. Just a week ago Mr. Zapp united with the Presbyterian church. Rev. W. C. Tenney, pastor of the Presbyterian church, will conduct the services at the home and grave of the deceased this, Thursday afternoon at 2:30 o’clock, interment at the old cemetery. Mr. Zapp leaves to mourn his demise, a widow and two married children, Mrs. E. G. Hill of Wichita Falls, R. L. Zapp of Palestine, and four grandchildren; also three sisters and three brothers, as follows: Mrs. Hannah Weyand of Carmine, Kosuth Zapp of Walhalla, Robt. Zapp of Galveston, Mrs. Lucy Speckels of La Grange, Mrs, Isabella Franz, and Sam H. Zapp of San Antonio. The Journal extends its sincere sympathy to the bereaved. LaGrange, Tex., Sept. 6—The city schools today closed indefinitely as a precautionary measure on account of scarlet fever excitement. There are several suspicious cases. There was one death today, the victim being Lite Zapp, aged about 11 years, son of ex-sheriff B. L. Zapp. Barney Light, son of Mr. and Mrs. B. L. Zapp of this city, and familiarly known by his schoolmates and friends as “Light,” passed over the river of death into the great beyond on Thursday last. Some two weeks ago “Light” laid down under the pressure of an attack of malaria, but in the course of five or six days began to improve sufficiently to be up and about during the absence of the fever. On Tuesday morning he showed symptoms of scarlet and on Thursday at 1:30 p. m. the soul took its flight, returning to Him who gave it. A large concourse of mourning and spmpathizing [sic] friends followed the remains to its final resting place where timely and appropriate services were held by Rev. G. H. Collins of the M. E. church. The deceased was an exceptionally good son, brother and friend, and was beloved by his playmates for his amiable disposition and earnest, warm friendship. The day will never dawn when, as time rolls on into years, his young friends will have ceased to reverently remember him. His age was ten years. To the bereaved parent the heart of this community goes out in deepest sympathy in this hour of sorrow. And bade it blossom there. – Coleridge. Fayetteville, March 18th.—Mrs. Caroline Zapp, nee Bode, wife of Hugo Zapp, Sr., died of paralysis of the heart early this morning. 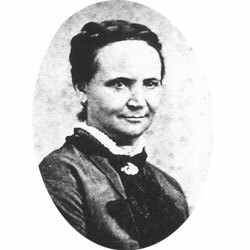 She was born at Hessen Cassel, January 3, 1828, locating at Round top. She married Mr. Hugo Zapp in 1853. Nine children, three boys and six daughters, were the issue of their union. Seven of these and her husband, thirty-four [grandchildren] and one great grandchild survive her. The children living are: Mrs. Hermann Meitzen, H. W. H. Zapp, Mrs. Ernest Pagel of this place, Charles Zapp of Zapp post office, Hugo Zapp of Ben Arnold and Mrs. R. O. Franke of Houston. Mrs. Christine Zapp, widow of the late Kossuth Zapp, died at her home near Walhalla, Friday, November 4, following an illness of 8 days. Funeral services were held under the direction of Ernst von Minden, funeral director of Round Top, and the body was prepared for burials by Frank Pratka of La Grange. The Journal’s round Top, Route No. 2, correspondent gives a complete obituary in another column. Mrs. Glennie Althea Zapp, a native of the Walhalla community, passed away at Houston Monday. Mrs. Zapp, 81, had been a Houston resident for the past 56 years. Funeral services were held at 10:30 a.m. Wednesday at the Settegast-Kopf chapel in Houston with Dr. Richard Campbell and Rev. James O. Snyder officiating, and burial was in the Glenwood Cemetery. Survivors include her husband, Werner G. Zapp, Houston; two sons. W.T. Zapp, Houston, and Daryl F. Zapp, Lafayette, La. ; sister, Mrs. Joe Calvit, Houston; two brothers, Kenneth F. Carter, Houston and Harlie T. Carter, La Grange and eight grandchildren. DEATH OF HUGO ZAPP, SR. The subject of this obituary was born at Elberfeld, Germany, Sept. 6th, 1822. Came to the United States of America in 1847; located in Fayette county, Texas in 1848, married Miss Caroline Bode at Round Top in 1853. There were born to them nine children, six girls and three boys, all of whom they raised to adults except Louise who died at about eighteen years of age and Ida, the wife of Dr. Gaedcke, died quite young leaving several children. Had Mr. Zapp and his wife lived until August of this year they would have celebrated their golden wedding. Mr. Zapp had always been remarkably healthy until about two years ago when he lost his eye sight and afterwards his extensive mercantile business which he conducted many years very successfully in Fayetteville was continued under the firm name of Hugo Zapp’s Sons, Mr. W. H. Zapp being the controlling partner. He suffered much bodily pain at times but on January 8th, 1903, he passed away peaceably and easily, being eighty years four months and two days of age. The departed ones of this family were christians [sic], “they fought a good fight, they finished their work, they kept the faith and a crown of righteousness is laid up for them eternally in the heavens,” and we feel sure they are reunited in God’s kingdom. The writer hereof knew Mr. Zapp intimately for about fifty-four years and we can truthfully state that no object of charity, either personal or otherwise, was ever passed by him unaided substantially. He was everybody’s friend and a friend to every one in this town and vicinity and elsewhere where he was known and all mourn his loss. The remains of the deceased were buried Masonically, Rev. Pastrall delivering an eloquent and impressive funeral oration at the grave to one of the largest audiences ever seen at that cemetery. Fayetteville, Jan. 8. — After a lingering illness, Hermann [sic.] Zapp, aged 85 years, a resident of Fayetteville for the past forty-five years, died at his home this morning. Mr. Zapp was one of the oldest pioneers of our state. Was loved by all of the community surrounding his home and leaves three sons, Hermann, Hugo and Charlie, and three married daughters. Interment today at 2 o'clock, Fayetteville. Hugo Zapp, aged 71 years, died at his home in Houston, Monday. He was a brother to Mrs. Mary Meitzen and Mrs. E. E. Pagel of Fayetteville. The body was buried at Forest Park Cemetery, Houston, Tuesday, afternoon, Rev. D. Baltzer officiating. Our sincere sympathy is offered to the surviving relatives. Kossuth Zapp of Walhalla, aged 84 years, died Monday of this week, after having been ill from an accident that befell him two weeks since. While ascending the steps at his home he fell, an din the was bruised and had the bane in his arm fractured. Although always of strong constitution, and very active for his age, this accident seemed to break his force; he passed Monday afternoon. For a number of years Kossuth Zapp served Beat No. 2 as a member of the Commissioners’ Court and was always regarded as one of the most conservative that Beat elected. Conscientious and honest, he conducted what part of the business of the county was entrusted to him, in the same honest painstaking manner that was exercised in his own business. He was born in La Grange, a son of the early settler, Robert Zapp, and remained in this city until he was eleven years of age; the family removed to Waldeck, later to Round Top. For many years he was owner and operator of a gin. He was united in marriage with Miss Christine Weyand in 1870, and is survived by his wife and the following children: Max F. Zapp, merchant at Warrenton; Hermann, Ginner at Walhalla; Hamilton of Walhalla; and Mrs. Natalie Schare of near Round Top. There are seven grandchildren. Death of Kossuth Zapp, leaves only three members of the Robert Zapp, a large family, living; these are: Robert Zapp of Galveston; Mrs. Lucy Speckles of La Grange and Sam Houston Zapp of San Antonio. Funeral Services were held at the family home Tuesday afternoon at 3:00 o’clock and interment was made in the Florida Chapel Cemetery. Our readers will regret to learn of the death of Mrs. Lena M Zapp, wife of Deputy Sheriff O. K. Zapp, which occurred in LaGrange Wednesday, Oct. 11, after a brief illness. Funeral services were held at the Presbyterian Church here Monday afternoon for Robert Lee Zapp, 58, formerly of La Grange, who died at this home in Palestine. Born 22 July 1894, he died 7 September 1952. He is survived by his widow, Mrs. Amelia Weber Zapp of Palestine; two daughters, Mrs. Frank Bomer Howard of Houston and Mrs. J. B. Ashley of Dallas; and one grandchild. WERNER G. ZAPP, 91, of Houston passed away Tuesday October21, 1980. He was a member of First Evangelical Church, World War II veteran and a member of the brotherhood of the Church. Survivors: two sons: W.T. Zapp, Houston, and Daryl F. Zapp, of Rosenberg; a sister, Letitiia Zapp Morgan and eight grandchildren. Funeral services will be at 10:30 a.m. Friday at the Settegast-Kopf chapel in Houston with Dr. Richard Campbell officiating. Interment will be in Glenwood Cemetery. Pallbearers: Werner T. Zapp, Jr., John A. Zapp, Andrew G. Zapp, Francis F. Spreen, Fred F. Look, Burt C. Carter, Mark C. Carter. Funeral services for Ignatz Zaskoda, 84-year-old retired farmer of Ellinger, were held Sunday at Jecmenek Chapel in Ellinger and continued at St. Mary’s Catholic Church at Hostyn Hill. The Rev. Francis Kolar officiated. Burial was in the church cemetery under the direction of Koenig Funeral Home. Mr. Zaskoda, brother of Mrs. Henry Williams of Columbus and Mrs. Stazie Koehl of Alleyton, passed away Jan. 30 in Retama Manor Nursing Home. Born July 14, 1891, in Ellinger, he was the son of Mr. and Mrs. Bart Zaskoda. He married Rosie Slanina on May 22, 1912 in Oklahoma City and she preceded him in death in 1963. In addition to the 2 sisters, Mr. Zaskoda is survived by a daughter, Mrs. Jerome (Leona) Cernoch of Ellinger; a granddaughter, Mrs. Billy Mike Roberts and 2 great-grandsons, Michael and Mitchell Roberts, all of La Grange. ELLINGER – Funeral services for Mrs. Rosie Zaskoda, 73, a sister of Charles Slanina of Columbus, were held in the Jecmenek Funeral home at 9 a.m. Monday and later at the Hostyn Hill Catholic church. Rev. Francis Kolar officiated. Mrs. Zaskoda was born in Elliger Oct. 11, 1889 and died in a San Antonio hospital last Friday. Survivors include her husband, Ignatz Zaskoda; a daughter, Mrs. Jerome Cernoch of Ellinger; a sister, Mrs. Lee Walla of Ellinger; 3 brothers, Charles and Frank and John Slanina of Houston. Burial was in the Hostyn Hill Catholic cemetery. Funeral services for Alfred H. Zatopek were held from St. Mary’s Catholic Church in Ellinger Monday, with Father Kolar officiating. Burial was in Hostyn Hill Catholic Cemetery. Mr. Zatopek, a life-time resident of this area died in Autumn Hills Nursing Home Oct. 2 after an illness of 6 months. He was a son of Frank and Henrietta Krenek Zatopek, born in Fayette County Nov. 19, 1929. He was employed as a drag line operator by Superior Sand and Gravel. Rosary was recited at Henneke Funeral Home Sunday. Henneke Funeral Home was in charge of arrangements. Survivors include his wife, Norma Zatopek of Columbus; 3 sons, Ronnie, David and James Zatopek, all of Columbus; one sister, Mrs. Adeline Svatek of El Campo; 3 brothers, Bernard and Eddie of Houston and Adolph of Ellinger. Pallbearers were Jerry Faldyn, Edward Faldyn, Kenny Svatek, Dennis Zatopek, Michael Krenek and Tommy Lycka. Kasper Zatopek, an aged citizen of Ellinger, passed away at the home of his daughter Thursday morning. His remains were laid to rest at Live Oak Hill Cemetery, Saturday; Rev. Father Raska officiated. Mrs. John Zatopek died after a short illness at her home here last Sunday night. Mrs. Zatopek fell unconscious Monday morning and Dr. A. P. Knolle was called to assist her but the doctor did all there could be done, although he reported her in a serious condition. The funeral was held at the residence with interment at the Catholic cemetery at Live Oak Hill. Rev. Holub of LaGrange officiated. Mrs. Ethlynn Zbranek, aged 19 years, 10 months and 22 days, died Friday, June 9, 1939. Funeral services were held under the auspices of the Koenig Funeral Home, Saturday afternoon at 2:00 o'clock, and interment was made in the Cedar Cemetery, Rev. R. Heise officiating. Deceased was born at O'Quinn, July 17, 1919, as a daughter of Mr. and Mrs. Rudolph Hengst and was a member of the Lutheran Church. She is survived by her husband, Justine Zbranek of La Grange, and her parents, one son Paul and two sisters, Lucille and Ora Nell Hengst and one brother, Monroe Hengst. Died near Roznoz [sic], Jan. 25, Francis Zbranek, age 4 year, 8 months and 2 days of anasarca. Services for Helen Ernestine Zbranek, 95, of La Grange were held Aug. 29 at Koenig-Peel Chapel in La Grange with Monsignor Harry Mazurkiewicz officiating. Burial followed at Hostyn Catholic Cemetery. Zbranek died Aug. 28 at Fayette Memorial Hospital in La Grange. She was born Feb. 16, 1898, in Fayetteville, Texas, the daughter of Louis and Ada Nehring Mueller. She was united in marriage to Joe Zbranek Jr. on April 5, 1923, in La Grange. Zbranek was a member of Sacred Heart Catholic Church, the CDA and Altar Society. She was preceded in death by her husband on July 12, 1971, and two brothers. Survivors include a daughter and son-in-law, Florine and Jack Carpenter of Bayou Vista, a son and daughter-in-law, Royce and Violet Zbranek of la Grange; a sister, Dora Menking of Austin, five grandchildren and eight great-grandchildren. Koenig-Peel Funeral Home Inc., La Grange, directors. Services for Henry Zbranek, 72, of La Grange were held Jan. 7 at Holy Rosary Catholic Church with Rev. William Halata officiating. Zbranek died suddenly Jan. 5. He was born March 30, 1914 in Halstead to Frank and Olga Sulik Zbranek. On Jan. 10, 1939, he married Annie Pisclok. Zbranek served m the Army during World War II. He was a member of the Knights of Columbus, VFW and American Legion. He had been a county employee. Survivors include his wife, Annie of La Grange, a son and daughter-in-law, Johnnie and Diane Zbranek of Houston, a son-in-law, Ray Jurecka of Sealy, two sisters, Mrs. Albert Huebel and Mrs. Willie Trilicek of La Grange, three brothers, Justin, Eddie and Ludwig Zbranek of La Grange and five grandchildren. He was preceded in death by two daughters, Betty Jean Jurecka and Patricia Ann Zbranek, two brothers and two sisters. Memorial Funeral Home, Inc., La Grange, directors. Funeral services for John Zbranek, 75-year-old retired Plum community farmer, were held Saturday at 9 a.m. at the Koenig Funeral Home and continued at the Plum Catholic church. The Rev. James Ballemans officiated and burial was in the church cemetery. Mr. Zbranek died at the Cozy Rest Home. Born at Walhalla on Sept. 25, 1888, the deceased was a son of Mr. and Mrs. Paul Zbranek and was married at Fayetteville on Nov. 8, 1909, to Mary Rose Sulak. She died on Feb. 16, 1963. Surviving are four sons, Willie of Austin, Alfred and Bennie of La Grange and Edmund of Houston; four sisters, Mrs. Louis Matocha of Plum, Mrs. Louis Blaha of Rosenberg, Mrs. Joe Michalik of Houston and Mrs. Willie Repka of Wallis; two brothers, Frank of Houston and Louis of West Point; and four grandchildren. Marie Zbranek, age 70 years, 8 months and 18 days, Old Age, Live Oak Hill. Funeral services for Mrs. Matilda Zbranek of La Grange, mother of Mrs. Walter (Bernice) Divin of Columbus, were conducted by Msgr. John Hanacek April 7 at the Koenig Funeral Home chapel and continued services at the Plum Catholic Church. Burial was in the church cemetery. Mrs. Zbranek died April 5 at Fayette Memorial Hospital at the age of 79. She was a daughter of John and Mary Janda Sulak, born at Latium on July 28, 1896 and was united in marriage with Joe Zbranek Nov. 23, 1915. Mr. Zbranek died in 1951. In addition to her daughter, she is survived by another daughter, Mrs. Alfred (Rosalie) Kollaja of El Campo; 2 sons, Edwin E. and Jerry Zbranek, both of La Grange; 4 sisters; a brother; 3 grandchildren and 2 great-grandchildren. Services for Monica Hattie Zbranek, 85, of La Grange were held May 17 at Koenig-Peel Funeral Home Chapel with Monsignor Harry Mazurkiewicz officiating. Burial followed at La Grange City Cemetery. Zbranek died May 15 at Fayette Memorial Hospital in La Grange. She was born April 5, 1911, in Sweet Home, Texas, the daughter of Isadore and Christine Bujnoch Jalufka. Zbranek was united in marriage with Ludwig Zbranek. She was a housewife. Survivors include a daughter and son-in-law, Dorothy and Richard Walck of Greencastle, Pa.; two sons and daughters-in-law, Theodore and Shirley Sedlar and Isadore and Elsie Sedlar, all of La Grange; three brothers; four sisters; seven grandchildren; and a great-grandchild. Koenig-Peel Funeral Home, La Grange, directors. Services for Verlene E. Zbranek, 63, of La Grange were held Dec. 20 at St. Paul Lutheran Church with the Rev. Bill Hassel officiating. Interment followed at La Grange City Cemetery. Zbranek died Dec. 18 at Fayette Memorial Hospital in La Grange. She was born Sept. 25, 1928 in Waldeck, the daughter of Beno and Annie Fuchs Ahlschlaeger. She was united in marriage with Bennie L. Zbranek Aug. 3, 1948 at St. Mary's Catholic Church in Austin. She was an employee of First National Bank of La Grange for many years and was an employee of the Tax Assessor's office prior to working at the bank. She was a member of St. Paul Lutheran Church, VFW Ladies Auxiliary and St. Paul Evening Circle. Survivors include her husband, Bennie L. Zbranek of La Grange; a son and daughter-in-law, Dennie and Kathy Zbranek of La Grange; a daughter and son-in-law, Nancy and John Mayer of Cypress; a sister and brother-in-law, Gladys and Jack Kline of Carrollton; two brothers, Beno Ahlschaeger Jr. of Fort Worth and Kenneth and wife, Waldine, Ahlschlaeger of Giddings; two brothers-in-law, Lad Zbranek and wife, Verlene, of Hallettsville and Will Zbranek and wife, Carol, of Lufkin; a sister-in-law, Bernice Kallus and husband, Lawrence of La Grange; three grandchildren, Mindy, Jessica, and Kristine; and several nieces, grand-nieces and grand-nephews also survive. Frank Zeiner, 65yrs. 7mo. 5days Arterio Slerosis [sic], Holman. It is with deep regret that we chronicle the death of Mrs. Louise Zemlicka, wife of Thos. Zemlicka, which occurred at San Antonio last Saturday morning at 6 o'clock, where she had gone for medical treatment. The corpse was brought here Sunday mroning and buried at Dubina, Rev. Father Just of Weimar officiating. The deceased was a sister of Messrs. Steve and Chas. Gerla, only 24 years of age and leaves a husband and two children, a boy only 3 months old and a little girl 2 years of age. To the many good friends who kindly assisted at the funeral services of our dear daughter, Mrs. Mary Zemlicka, do we wish to thank from the bottom of our hearts. Mrs. Tom Zemlicka, who has been so seriously ill with typho-malaria fever for the past ten days, died Monday afternoon and her remains were interred in the Catholic cemetery at 4 o’clock p. m. Tuesday, the funeral services having been conducted by Rev. Father Mueller. The fact that the disease which resulted in Mrs. Zimlicka’s death was contracted while she was keeping comfort vigil upon and faithfully ministering to the needs of her brother-in-law, John Zemlicka during his recent affliction, renders her death all the more deplorable. The Sticker begs to extend to the bereaved family its sincere sympathy. The statement appearing in last week’s Sticker that the funeral services over the remains of the late Mrs. Tom Zemlicka were conducted by Rev. Father Mueller was in error, the last sad rites having been performed by Secretary Beneker of the Hermann Sons. Monday afternoon Tom Zemlicka, an old citizen of Schulenburg, died after a sickness of several months. The burial services took place Tuesday, Rev. Raeke officiating. Tom Zemlicka was born in Europe in 1871 and came to this country at the age of 18. He was united in marriage to Miss Louise Gerla who preceded him in death twenty years ago. Later he married Miss Rosa Diettrich who died but a few years later. He leaves two children, Mrs. W. D. Cowan and Robert Zemlicka Kossa, his brothers John, Joe and Frank, his sisters Maria and and [sic] Catherine and an aged father to mourn his loss. Last rites for Rowena (Lincke) Zenkner, 92, of Willow springs were conducted Tuesday, Dec. 2 at 1:30 p.m. in St. Paul Ltheran Church, Shelby. The Rev. Don Cole officiated with burial in the Shelby Cemetery. Mrs. Zenkner died Nov. 30 at her residence. A lifetime resident of the Willow Springs area, Mrs. Zenker was born Dec. 12, 1904, the daughter of the late Herman and Helen (Meller) Lincke. She was united in marriage with Arno Charles Zenkner Feb. 12, 1922 in Willow Springs. Mrs. Zenkner was a homemaker and also had been employed as a cook at a La Grange nursing home and at the Fayetteville High School. She was a member of St. Paul Lutheran church and the Sons of Hermann #28 in Shelby. Surviving are two daughters and sons-in-law Vernell Kelley and James Vaydak of Brenham and Laverne and James Zapalac of Willow Springs; two sisters, Marie Leisering of Austin and Sadie Lincke of La Grange; seven grandchildren and nine great-grandchildren. She was preceded in death by her husband in 1980, two sons, two daughters two sons-in-law and three brothers. Memorial contributions are suggested to St. Paul Lutheran Church, Shelby. Funeral arrangements were under the direction of the Koenig-Peel & Strickland Funeral Home. GANADO— Anton Zetka, 88, retired Ganado farmer, died Sunday in an Edna rest home. Funeral services will be held at 9:15 a.m. Tuesday from Psenclk Funeral Home Chapel, and 9:30 at the Assumption Catholic Church, with the Rev. William Halata officiating. A rosary will be read at 8 p.m. Monday at the Psenclk chapel. Burial will be in the Grawe Cemetery [sic. ]near Waaronton [Warrenton], Tex. Mr. Zetka was born Dec. 13, 1882, and was a longtime Ganado resident. He was a member of the Assumption Catholic Church. Surviving are two sons , Jerome of Ganado and Rudolph of Texas City; three daughters, Mrs. Jerome Kollha and Mrs. August Chytka of Ganado, and Mrs. Leon Silva of Houston, and several grandchildren and great-grandchildren. Zgabaj – Died at Fayetteville, July 13th, of old age, John Zgabaj, aged 84 years. Walter Zieger, age 13 years, 1 mon, 23 days heart failure, near Ledbetter. FLATONIA – Funeral services for Anton Zigal, 96, one of the oldest residents of Fayette County, were held Friday from the Plum Catholic Church, with the Rev. Fr. Edward J. Jansky officiating. Survivors include the widow, Mrs. Frances Zigal; three daughters, Mrs. Tonie Psencik of Ganada [Ganado], Mrs. Frank Sabisula [Sabrsula] of Plum and Miss Julie Zigal, Houston; two sons, Alfons Zigal and Emil Zigal, both of Plum; 17 grandchildren and 25 great-grandchildren. Eugene Francis Zigal, 79, of Houston, died Saturday, May 14, 2016. Eugene was born in La Grange on Nov. 7, 1936, the son of Alfons and Annie (Korenek) Zigal. Eugene married Fannie (Nonie) Elnora Rice in Anderson. He was employed in the fiberglass boat building business and moved to the Houston area in 1971. He is survived by his daughter, Cindy Zigal and husband Joe Murphy of Friendswood; son, Ronnie Zigal and wife Lisa of Splendora; sister, Josephine Bell of Houston; grandchildren, great-grandchildren, family and friends also survive. Memorial services will be held at St. Peter & Paul Catholic Church in Plum at 2 p.m. on Wednesday, June 15, 2016. A rosary will be recited at 1:30 p.m. at the church. In lieu of flowers, memorial contributions may be made to St. Peter & Paul Catholic Church in Plum. Koenig & Strickland Funeral Home is in charge of arrangements. The passing of Mr. Emil Zilss on July 16, 1948, was an unusually severe blow to those who knew and loved him. Though past the “three score years and ten” allotted to man, his keen mind and splendid physique belied his age and made us loath to let him go. “What is the mystery that men call death? My friend before me lies; in all save breath. Of that great change which all of us dread. Was warp and woof of which his life was wrought. No one person could list the deeds of kindness Mr. Zilss has done – for their number is legion. He was eager to keep his neighbor – a kind word, a pat on the back and money from his pocket helped the needy over many rough spots when sickness or disaster came. Beautiful Zilss Memorial School will act as silent reminder of his generosity to those who loved him! The lighted field where our young people gather for their ball games is another gift for which the community should be deeply grateful. The Community Hall – the scene of many happy celebrations – is still another generous gift he made to Winchester. Do we stop to think of these things and count our blessings? We should! Yes, Winchester will indeed miss this benefactor. Charitable institutions, such as: Boys Town, Seaman’s Institute, Boy Scouts, Girls Summer Camps, Blind Institute, Orphans Home, Colleges, Churches, our Cemetery Association, have lost a friend who made generous contributions regularly. The needy and suffering in his homeland were never forgotten. “There is no flock however watched and tended, but one dead lamb is there. Funeral services for Mrs. Anna Pauline Zimmermann, 64, were held at Hubbard Funeral Home here Tuesday afternoon, Sept. 15, with burial in Schulenburg City Cemetery. Rev. Charles Bawel, pastor of Weimar United Church of Christ, of which Mrs. Zimmermann was a member, officiated. Participating also was Rev. Erhard F. Eilers, pastor of the Philadelphia Lutheran Church of La Grange. Mrs. Zimmermann died Sunday at her home after 3 years' illness with cancer. Born April 23, 1895, at Round Rock, she was the daughter of Mr. and Mrs. Carl Minzenmeyer. She was married to Frank Zimmermann Nov. 12, 1912, at Richland, and 20 years later they moved to Schulenburg. Mr. Zimmermann was killed in a tractor accident there in 1937, and in 1949 Mrs. Zimmermann moved here, where one of her sons, Herbert, lives. Surviving are 4 sons, Charlie of Austin, Herbert here, Clarence of Garwood and Franklin of Houston; 3 daughters, Mrs. c. E. (Lourine) Cotton of Wellman, Mrs. Fred (Louise) Theumler of La Grange and Mrs. Victor (Junell) Strakos of Shiner; 3 brothers, Otto Minzenmeyer of Bartlett, Alfred Minzenmeyer of La Grange and Paul Minzenmeyer of Seattle, Washington; 5 sisters, Mrs. Emil (Ida) Zimmermann of Round Rock, Mrs. Wm. (Minnie) Ungerer of Flatonia, Mrs. Edgar (Marie) Naumann of Arlington, Mrs. Henry (Lillie) Holz of Waller and Mrs. Alf. (Martha) Bailey of Albuquerque, New Mexico; and 16 grandchildren. Pallbearers were John, Charles and Theo Zimmermann, Charles Michalk, Edwin Barbo and Arthur Priesmeyer. Oscar Zimmermann died Monday of last week, and on Tuesday afternoon at the Lutheran Cemetery his body was placed to rest, Rev. L.A. Treinklein, pastor of the Lutheran church officiating. Deceased had lived in this section of the county for many years. After retiring from active farm work, due to his age the couple removed to the neighborhood of their daughter eight years ago. Oscar Zimmermann was born April 26, 1857 in Saxony, Germany. In that city he was reared, received his education and also the rites of confirmation. In the years 1879 he was united in marriage with Miss Marie Meyer; seven years later the couple emigrated to America, and upon reaching Fayette County located near Round Top. Later they removed to this section. Eight sons were born to them, of whom three survive; these are: Oscar Zimmermann of Moulton, Fritz of near Schulenburng and Ferdinand of Hamilton, Texas, and six daughters: Mrs. Anna Unger of San Angelo, Mrs. Helene Kilian and Mrs. Dora Kilian of near Winchester; Mrs. Johanna Bar in Minnesota, Mrs. Hilda Koehler of La Grange and Mrs. Marie Elgin, also of Minnesota. The relatives of the deceased here with extend to all who came to them with words of sympathy and helped them to tide the sorrow, their sincere thanks. Zimmermann – Died at Schulenburg 5-5-04, General Debility, R. J. Zimmermann, aged 72 years and 7 months. On Wednesday of last week near Warrenton, Jacob Hounschey shot and killed John Zinglemann. The Journal has heard that Zinglemann went to Hoanschey's house and cursed and abused Hounschey, when the latter siezed a gun and shot him. Hounschey surrendered to Deputy Sheriff Saunders who brought him to town and turned him over to Sheriff Zapp. He subsequently had an examining trial before Justice Baker and was admitted to bail in the sum of $2,500. County Attorney Willrich represented the state and Hon. J. Lane the defendant. Both men were farmers and neighbors, and the affair is regretted very much by their friends.—LaGrange Journal. Mrs. Diedericke Helmken Zitterich, 87, was buried in the Rutersville cemetery Sunday, Dec. 23, following services at the Koenig Funeral Home Chapel here at 3 p.m. Rev. Raymond W. Durst officiated. Mrs. Zitterich died in the Fayette Memorial hospital on Dec. 22. The Germany native came to this country at the age of 9 years and settled at Oldenburg. She was born on Oct. 30, 1875, and was a daughter of Henry and Meta Von Minden Helmken. She married Fritz Zitterich on Jan. 27, 1893 in Rutersville. He died on Jan. 1, 1948. Surviving are a daughter, Mrs. Emma Rohde of Rt. 1, Round Top; 2 sons, Louis of La Grange and Willie of Houston; a sister, Mrs. Minna Mueller of Rutersville; two brothers, Gerhard Helmken of Rutersville and Henry Helmken of La Grange; 12 grandchildren; 31 great-grandchildren; and 4 great-great-grandchildren. Died at Winchester, August 28, August Zoch, age 34 years, months and 17 days of abcess [sic] of liver. We regret to report the death of Miss Marie Zoellner which occurred Tuesday morning about 1 o’clock, after a three weeks’ illness of typhiod [sic] fever. Her remains were interred in the High Hill cemetery Wednesday afternoon at 5 o’clock, Rev. Branice, of Houston officiating. The Sticker extends its sympathy to the bereaved relatives. FLATONIA – Edward H. Zouzalik, 86, former mayor of Flatonia, died at 12:25 a.m. Sunday in a Flatonia nursing home. He was born Dec. 15, 1903, in Flatonia to the late Frank and Cecelia Kocian Zouzalik. In addition to serving as mayor for eight years, he was a Fayette County commissioner for 16 years prior to his retirement. He was a member of Sacred Heart Catholic Church and past president of the Sacred Heart Cemetery Association. Mr. Zouzalik was a retired volunteer fireman, a member of the Knights of Columbus, past president of the Rotary Club and a director of the Chamber of Commerce. Funeral services will be held at 10 a.m. Tuesday at Sacred Heart Catholic Church in Flatonia with the Rev. Gabriel Maison and Monsignor Anthony Matula officiating. Burial will follow in Flatonia Catholic Cemetery. A rosary will be recited at 7 p.m. Monday the Smith Funeral Home. Surviving are his wife, Laura Zouzalik of Flatonia; two sons, Ervan Zouzalik of Flatonia and Victor Zouzalik of Lubbock; two step-sons, Lewis Homuth of Houston and Wayne Homuth of Austin; two sisters, Millie Elder of Portland, Texas and Agnes Bunton of San Antonio; a brother, Frank J. Zouzalik of Flatonia; nine grandchildren; two step-grandchildren; 12 great-grandchildren; and a step great-grandchild. In addition to his parents, he was preceded in death by his first wife, Julia, in 1971; and a sister and a brother. In lieu of usual remembrances, memorials may be made to Sacred Heart Catholic Church in Flatonia. FLATONIA – Frank Joe Zouzalik Jr., 84, lifelong resident of Flatonia, died in a local nursing home Wednesday, April 10, 1991, following a lengthy illness. He was born July 1, 1906, in Flatonia, to the late Frank Joe and Cecelia Kocian Zouzalik Sr. He was a retired construction worker for Dean Word and a Catholic. He was a member and on the board of trustees of the Sacred Heart Catholic Church, 19-year member of the Flatonia Volunteer Fire Department, board member for the Sacred Heart Cemetery Association and the first Cub Scout Master in Flatonia in 1940. Survivors: Wife, Agnes Zouzalik; sons, Daniel and Gene Zouzalik, both of Flatonia, Larry Zouzalik of Clifton, Ariz., sisters, Millie Elder of Portland and Agnes Bunton of San Antonio; six grandchildren; six great-grandchildren. Preceded in death by parents; three brothers; a sister, a half-brother and a half-sister. Services 2 p.m. Friday at the Sacred Heart Catholic Church in Flatonia, the Rev. Gabriel Maison officiating. Burial in Flatonia Catholic Cemetery, under direction of Smith Funeral Home, Flatonia. Robert Zuehlke of Burton passed away at the Milroy Hospital in Brenham at 8 PM Sunday evening, Jan 2, at the age of 80 years and 10 months. He was born on March 1, 1874, the son of Mr. and Mrs. August Zuehlke, at his father’s homestead near Round Top. He was baptized and confirmed in the Lutheran faith. All but 8 years of his life, when he moved to Burton, were spent on the farm where he was born, which at the time was the site of Round Top. On December 29, 1901, he was married to Miss Ernestine Steiner who survives. They had three sons, of whom the following survive: Herbert R. Zuehlke of Houston and Max A. Zuehlke of Burton. He also leaves two grandchildren, Mrs. Otto Q. Lehrmann of Brenham and Mrs. Paul L. Barber of Natchitoches, Louisiana, and one great granddaughter, Deborah Louis Lehrmann of Brenham. One son, Bernhardt, and two sisters, Miss Emma Zuehlke and Mrs. Walter Gesswein, preceded him to the grave. Funeral services were held at 2 PM Tuesday at the Round Top Lutheran Church with the Foehner Funeral Home in charge of arrangements and burial was in the Richter Cemetery at Round Top. LaGrange, Tex., Dec. 28—Mr. John Zuhn, a prosperous German farmer, while moving a tenant, fell from his wagon soon after expiring. Cause of death, heart failure. This occurred on the Columbus road, about four miles east of here. Justice Ledbetter went out and held an inquest. Zuse: Died at Warrenton, Nov. 12-03, of Tuberculosis, Bernard Zuse aged 62 years 5 months and 24 days. Ammannsville Corr. : The 4-months-old twin children of Dr. and Mrs. Zvesper died Friday – the little girl about 1 p.m. and the boy at 8:30. They were buried next day, Rev. Szymanski performing the burial service. Dr. J. S. Zvesper, prominent physician of Schulenurg, died very suddenly at his home in that city on Sunday evening about seven o’clock. He was stricken very suddenly with illness and died within a very short time. Funeral services were held at the Catholic Church in that city Tuesday morning, Rev. Wolf officiating. Dr. Zvesper was born May 15, 1879 and had spent the greater part of his life in Fayette county. He possessed a world of friends who will remember him for the many kind acts performed by him. He was well thought of by all who knew him, and will be sorely missed in the community. Dr. Zvesper is survived by his wife, five sons and six daughters, namely, John Zvesper of LaGrange, Henry Zvesper of Seguin, Joe Zvesper of San Antonio, Charlie and Louis Zvesper of Schulenburg, Mrs. John F. Rainosek of Hostyn, Mrs. John Sulak of Schulenburg, Miss Martha Zvesper of Waco, Miss Beate [as printed] Zvesper of San Marcos, Misses Vlasta and Lulie Zvesper of Schulenburg. He is also survived by one half-brother, Mr. Henry Zdaril of Taylor, and one half-sister, Mrs. J. R. Polasek of West Point. The 14-months-old baby, Ludmila, daughter of Dr. J. S. Zvesper and wife of Ammannsville, died on the 13th inst., and was buried at the Catholic cemetery yesterday afternoon. Near Winchester, April 28, Catherine Zwhar, age 69 years, 10 months and 20 days, of acute mania.